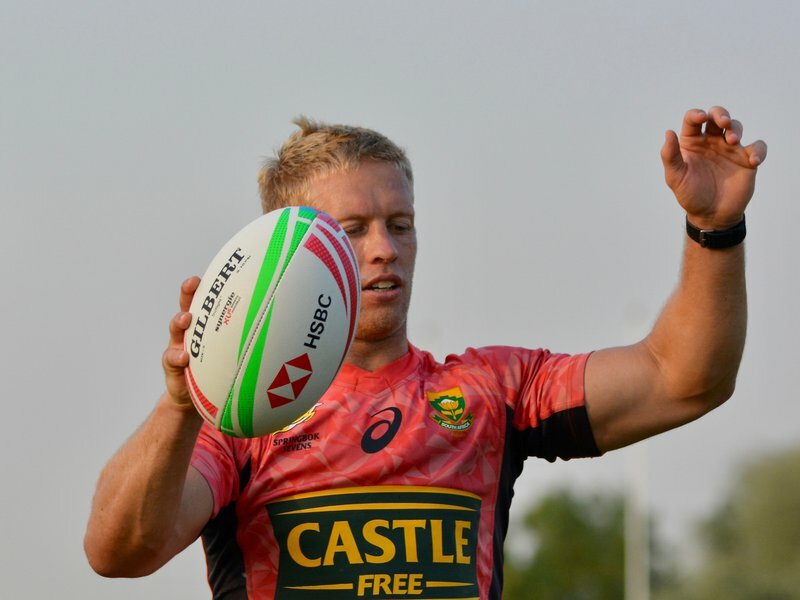 The experienced Kyle Brown was grateful and humbled by becoming the most-capped South African in the HSBC World Rugby Sevens Series this weekend, but said the Springbok Sevens team’s success means more than personal achievement. Brown, who debuted for South Africa in the 2008/09 season, was involved in his 69th tournament on Sunday, when he took to the field against England in the Cup quarterfinals of the HSBC Sydney7s at Spotless Stadium. He shared the previous mark of 68 tournaments with Frankie Horne. The Blitzboks lost the match though and in the process were knocked out of the main competition, but they recovered to claim fifth place with wins over Spain and Australia later in the day. Brown played his part by scoring the winning try in the dying seconds of a pulsating clash against the home side to secure the 12-10 win. “It never was about me becoming the most capped Blitzboks player,” said Brown, a former Blitzbok captain. “Remember, Frankie played his 68 tournaments consecutively over eight seasons and that to me will always be a remarkable achievement. It took me ten years to get to 69. “Also, I have seen Springboks, who played in their 50th or 100th Tests, on the wrong side of the result, so I was reluctant to make too much of this. The team winning tournaments and playing at their best is far more important than personal milestones. Brown thanked Horne and Springbok Sevens coach, Neil Powell, amongst others. “Frankie set the example to many of us with his love for sevens rugby and the Blitzboks, and he was an inspiration to me. Luckily I could play in most of his tournaments with him,” said Brown. “Coach Neil gave me the opportunity in recent months after some injuries and I can only repay that by contributing as much as I can inside the system and team. “I have been blessed to be part of a team with so many great memories," added Brown, who shared World Series glory with the Blitzboks on three occasions and won Commonwealth gold and Olympic bronze medals in Rugby Sevens. Although the Blitzboks have not enjoyed their best start to the season and are currently fourth on the log after four tournaments, Brown is not despondent. “There is a nice cliché out there – you win or you learn – so hopefully we can apply that in what happened with us over the last two weeks. We need to make some conscious decisions on those things that went wrong,” said Brown. The next leg of the World Series will be contested in Las Vegas (1-3 March), followed by the visit to Vancouver (9-10 March).